With Boomi, A10 Networks decreased process errors by 90 percent and reduced staff hours by 40 percent. Avalara increases customer satisfaction with an e-commerce solution that uses Dell Boomi for integration and API management to deliver accurate, real-time tax calculations. 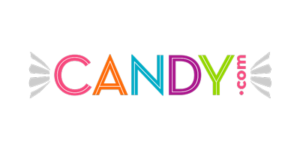 Third-party logistics provider Candy.com saves more than 200 hours per week in manual data processing while delivering mistake-free, next-day shipping with Boomi's EDI management platform. Cornell’s IT team leverages Boomi to accelerate its transformation into a cloud-first connected campus, building integrations in a quarter of the time needed with legacy middleware. Dell’s Business Information Exchange team uses Dell Boomi as a B2B integration layer between GFX and the Microsoft API, hosting their own Atom on premises at Dell. Working closely with Dell Boomi and Nalta Group, digitalAngel created one of the first open IoT platforms for connecting and managing data from smart healthcare devices. To solve the data sharing problem for its customers, DJO Global implemented Dell Boomi AtomSphere integration platform as a service. DocuSign’s cloud-first strategy relies on Dell Boomi's low-code integration platform to lower costs, increase scalability and enable data-driven decision making. SaaS leader Dropbox turns to Boomi integrate its portfolio of leading cloud-based applications to transform its HR operations. 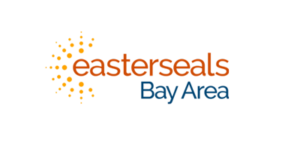 Anticipating a dramatic expansion of its patient network, Easterseals Bay Area turned to Boomi to build a responsive, flexible digital infrastructure. Leading UK logistics operator Eddie Stobart teamed with Boomi to bring far greater speed and efficiency to its supply chain and partner network. Emtec selected Dell Boomi AtomSphere due to its rapid time-to-value deployment, its ability to deliver immediate ROI, and its competitive pricing. Enterprise Community Partners uses AtomSphere to integrate financial reports and occupancy data for over 1600 housing projects seamlessly into PeopleSoft Financials and a custom compliance application. ESOMAR uses Boomi’s intuitive drag-and-drop interface and community-powered data mapping suggestion engine to build and deploy integrations in just days or weeks, not months or years. The gourmet food distributor deployed Dell Boomi iPaaS with EDI integration capabilities to keep the business safe and running smoothly around the clock. Green River Community College used Boomi AtomSphere to integrate their Admissions Database to Salesforce entirely from the cloud. With Dell Boomi AtomSphere handling integration, Innotas spends more time innovating its own products and less time developing expensive, difficult-to-maintain custom integrations. The fast-growing building services and construction firm has reduced the amount of time IT spends on setting up accounts for new hires from days to minutes. LinkedIn uses AtomSphere, Dell Boomi’s integration platform as a service (iPaaS), to automate two critical business processes. Marketo was able to leverage Zuora's existing partnership with Boomi in order to integrate Z-Billing with Quickbooks and automate billing and month-end close processes for 200+ subscription-based customers. Mindjet expands its use of Dell Boomi to streamline integrations, billing and order management at scale without adding headcount. The Mozy team found that AtomSphere’s intuitive, graphical interface and Boomi Suggest–a suggestion engine for field mapping–enabled faster development times and greater ease of use. Seeking an alternative to expensive, inflexible on-premise middleware, Novartis turned to Boomi to achieve greater agility while lowering costs. The Panasas team was able to build and test their initial integration processes during the first two weeks of their free trial of AtomSphere with only minor assistance from Boomi Support via live chat. Software maker Qlik speeds migration to best-of-breed cloud applications with the Boomi platform, building more than 40 integrations five times faster than it was previously able. Dell Boomi AtomSphere’s 100% cloud-based platform, and flexibility to run Atoms on-premise, combined with its efficiency, speed, reliability, ease of use and scalability, made it the clear choice for Ritchie Bros.
RPM used Boomi AtomSphere to build an integration process that involved converting a Flat File to EDI and then sending it via FTP to a Trading Partner. Wallet innovator Secrid deploys Dell Boomi’s native-cloud integration platform to drive its global business. Slalom, a rapidly expanding consulting firm, is using Dell Boomi to modernize its application portfolio and build a connected business. One of Australia's largest mutual banks turns to Boomi to drive digital transformation, stay competitive and grow its membership. The University of Technology Sydney (UTS) chose to adopt a cloud strategy for the purpose of alleviating constraints, rather than reducing costs. To accommodate growth and speed processes, Workfront’s finance team used Dell Boomi to integrate ERP, CRM, HR and other systems, eliminating the need for custom code.